Oscar Murphy Life Strategists Pvt. Ltd. This transformational online course is Presented by OMI (Oscar Murphy Life Strategists) and Powered by The Assessment World. 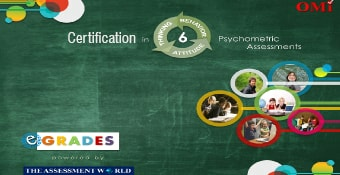 GRADES is a student focused course that aims at improving, enhancing and accelerating learners potential and thereby augmenting performance potential! 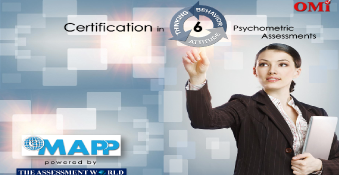 It optimizes on 6 well researched and objective psychometric tools, walking you through a practical and experiential path, unfolding its myriad benefits like understanding learners learning style, intelligence preferences, learning motivations, information processing approach, information assimilating approach covering the entire gamut of the learning experience. It gives clear direction to learners in terms of the subjects they can choose to excel, the career options that suit them best and get an exponential jump in their scores and grades. 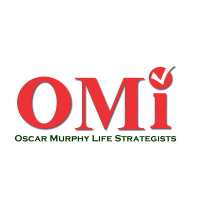 Oscar Murphy Life Strategists (OMi) is a globally renowned organisation for enabling individuals and organisations through attitudinal change programs, training interventions, psychometric assessments, organizational surveys, certification programs and various life-transforming workshops. At OMi, we H.E.L.P (Help Empower Life Potential) individuals, institutions and organisations tap into their innate potentials, through C.A.R.E (Changing Attitudes Reaching Effectiveness). H.E.L.P and C.A.R.E reflect the core values and mission of Oscar Murphy. Everything we are, everything we do, and everything we believe in revolves around our H.E.L.P and C.A.R.E values. Mr. Sreenidhi and Ms. Tay Chinyi, Helena are senior leadership consultants, coaches and expert behavioural trainers of international repute. They have trained and coached executive directors, managers and leaders in areas of Strategic Consulting, Leadership, Team Development, Human Resource Optimisation, Performance Management, Coaching and Mentoring across the globe. They help individual leaders amplify natural strengths and transform limitations to achieve personal, professional and business success. With over 30 years of experience in the business world as Life Strategists, Change Catalysts, Business Owners and Entrepreneurs, they bring in long-term value to organisations. They are extremely acclaimed world-over for sharing deep insights with their coachees, and intertwine the missing links that often pose as obstacles towards achieving optimal performance at the personal and professional frontiers. 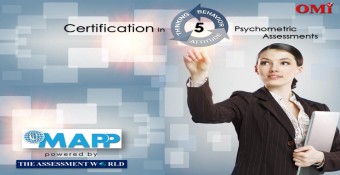 They have extensive background in the Behavioural Sciences of Psychology and Sociology apart from rich and hands-on experience in General Management, Sales & Marketing, Human Resource Training, Coaching and Development functions. As experts in the field of interpersonal dynamics they have contributed immensely to enrich the lives of vast multitudes of corporate teams at all levels. They currently coach many CEOs, MDs and senior professionals, while resonating powerful positive energy.